No more plastic bags in Jamaica soon? KINGSTON – It seems Jamaica is moving closer to banning not only Styrofoam containers, as fellow CARICOM member nation Guyana has done, but plastic bags as well. The Senate recently approved a private member’s motion proposing a ban on the use of both. 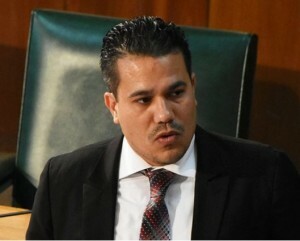 The motion, which was mooted by Government Senator, Matthew Samuda, was passed following an extensive debate during last Friday’s Senate sitting. In opening the debate, Samuda noted that Styrofoam and plastics take an inordinately long time to biodegrade, and that both materials account for about 50 per cent of non-biodegradable waste generated locally. He said this creates environmental and health concerns for Jamaica. In light of this, Samuda contended that it would be far less costly to ban those products. He suggested the use of containers made from or incorporating bio-degradable materials, as well as durable cardboard, as alternatives to plastic and Styrofoam. “It is not beyond Jamaicans to use reusable bags when we go to the supermarket or wholesale. It is not beyond us to ensure that when we use Styrofoam, it is biodegradable, or to consider other options by way of cardboard material. I am not proposing an instant ban,” Samuda said. Several Senators acknowledged that Samuda’s proposal was timely, as Jamaica was facing a waste management crisis. This, they argued, was particularly precipitated by the poor manner in which some people were wantonly disposing of Styrofoam and plastic bags and containers, and agreed that the matter needed to be urgently addressed. Most Opposition senators who spoke said they supported the “spirit” of the motion, but raised concerns about whether adequate consultations were carried out. “I’m very wary of any kind of motion brought to the Senate that tends to be prescriptive on the response to what the problem is. The ramifications of a particular course of action need to be fully ventilated and considered. This thing warrants some serious thought and consideration [and] consultation,” leader of opposition business in the Senate, Mark Golding said. The motion is expected to go before a multi-stakeholder committee falling under the Ministry of Economic Growth and Job Creation’s environment portfolio for consideration and action.